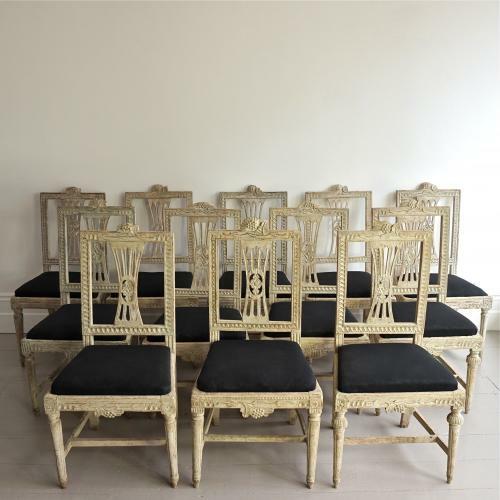 An outstanding set of twelve richly carved Gustavian period 'Lindome' chairs scraped back to their original paint. Ready to be upholstered in a fabric of your choosing. Four of the chairs are signed. Swedish circa 1790 - 1810.